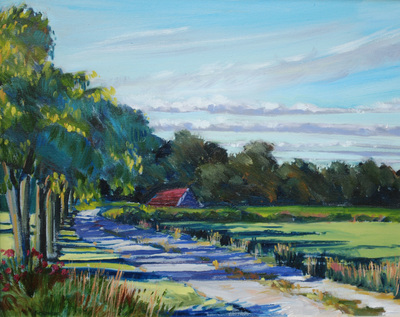 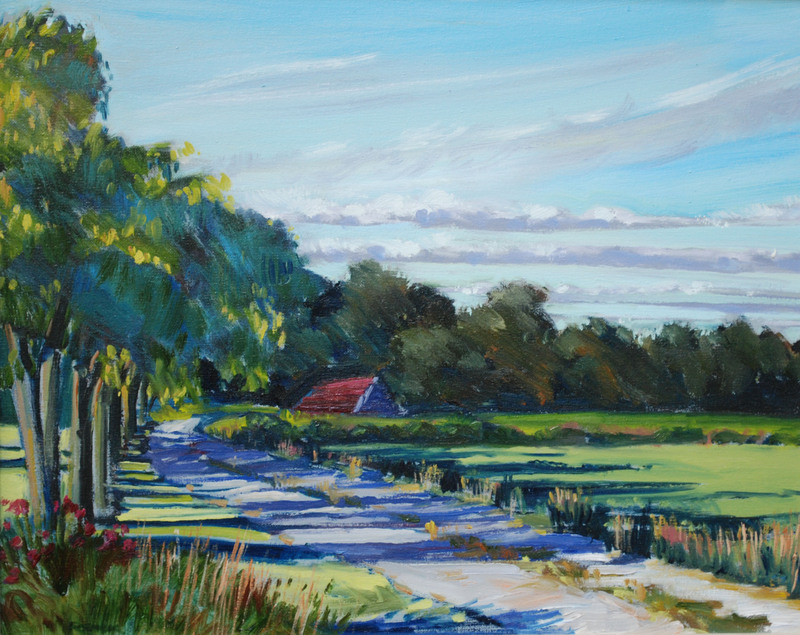 ​All paintings are priced to include framing. Rusty Old Dock 12 x 24 $ 720. 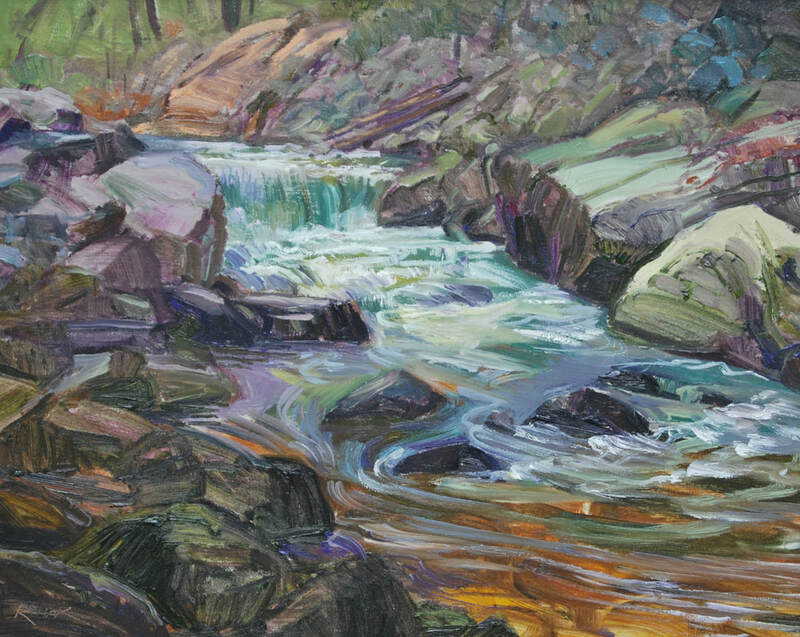 Rapids 16 x 20 840. Brandywine Branches 12 x 16 $ 480. 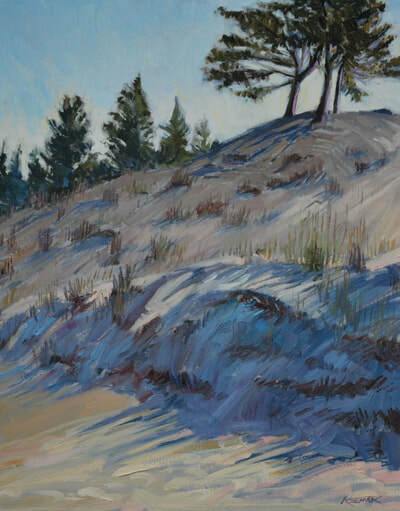 "Dune's Late Light" 20 x 16 oil $840. 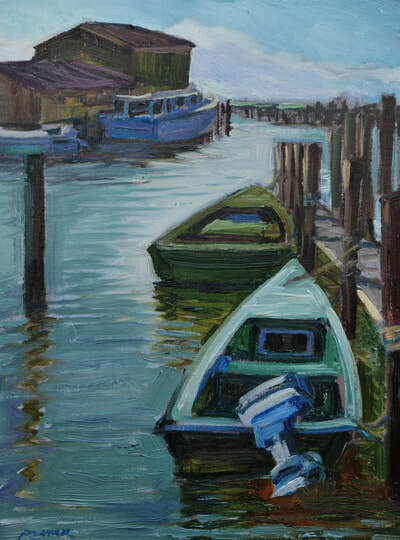 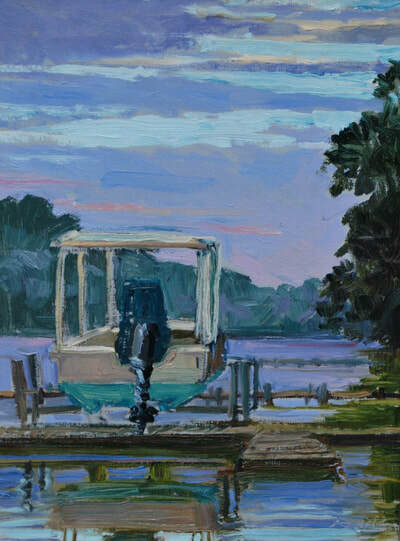 "Green Skiffs" (16 x 12 oil) $540. 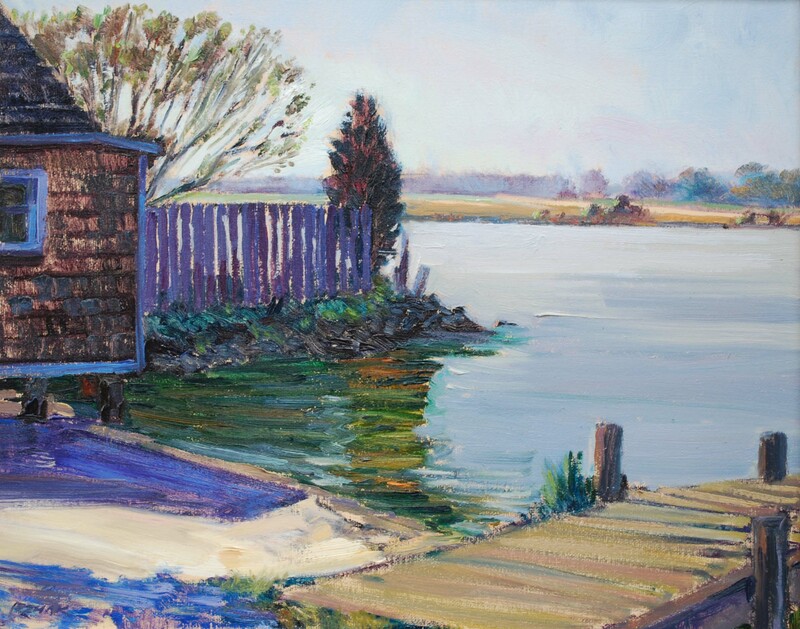 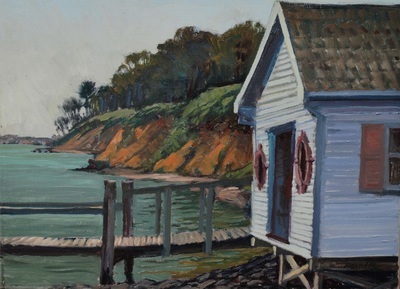 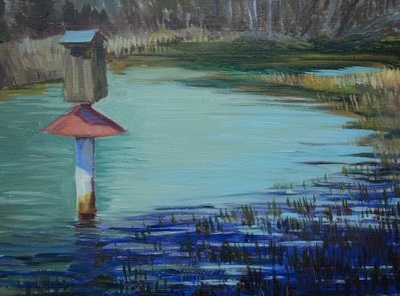 Boathouse ( 12 x 16 oil ) $480. 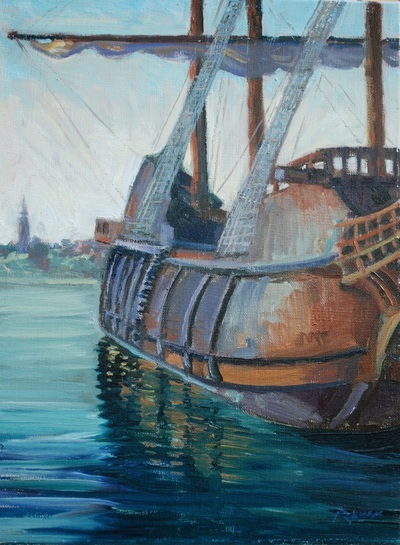 Runabout ( 12 x 16 oil ) $480. "Bayside Rain" (16 x 20 oil) $840. 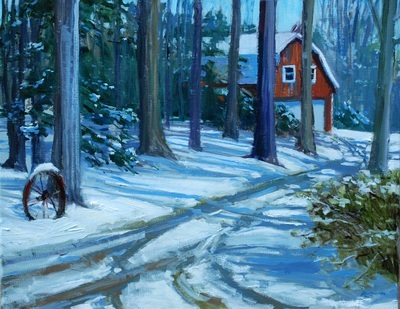 "Destination" (12 x 24 oil) $900. 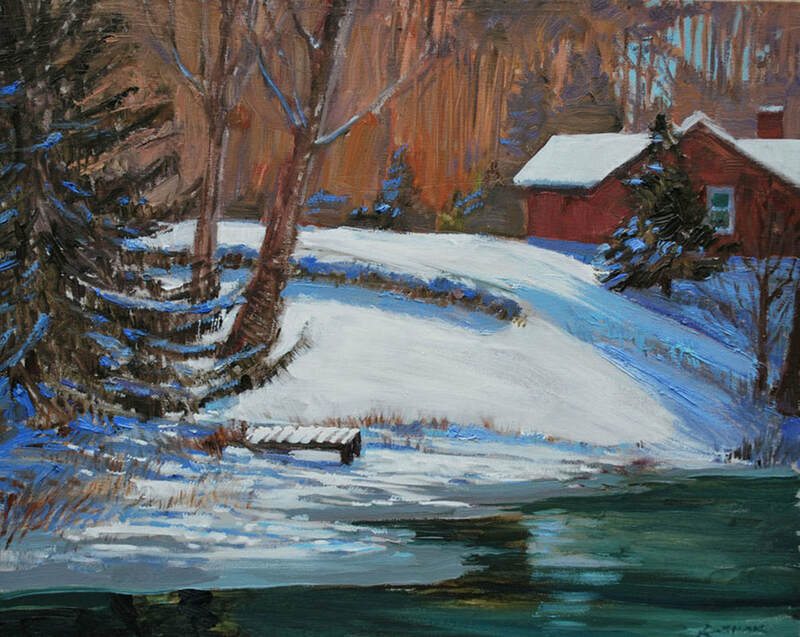 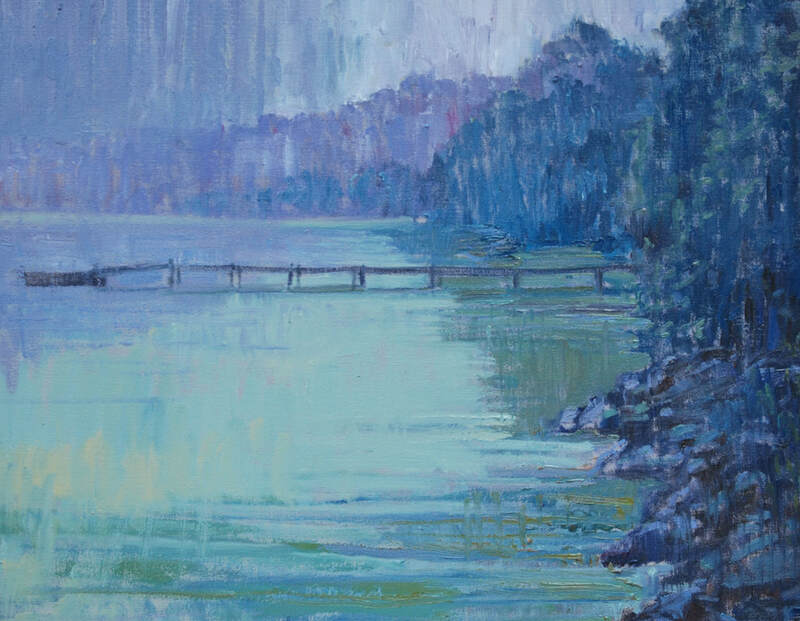 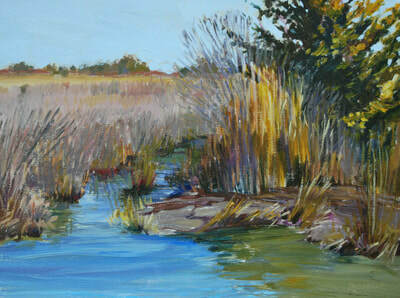 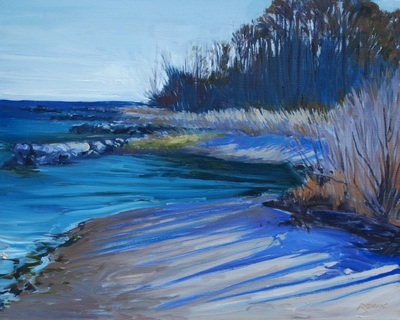 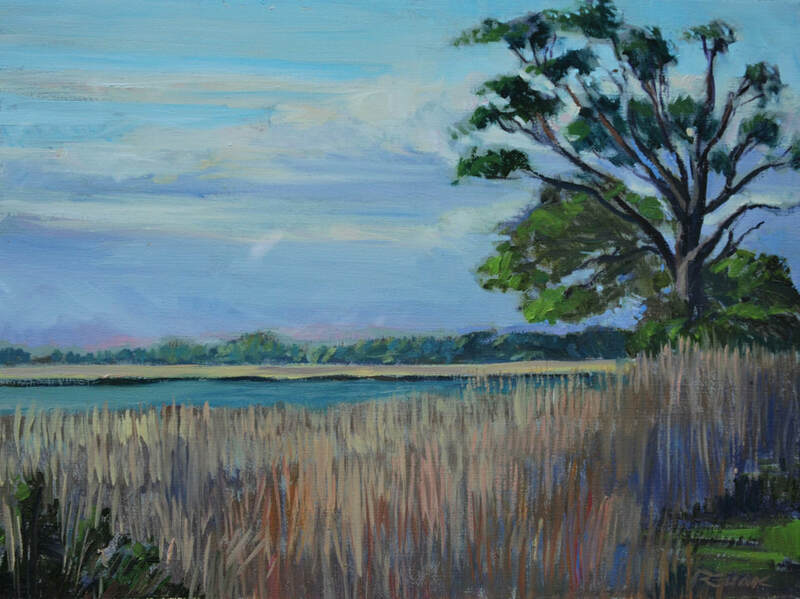 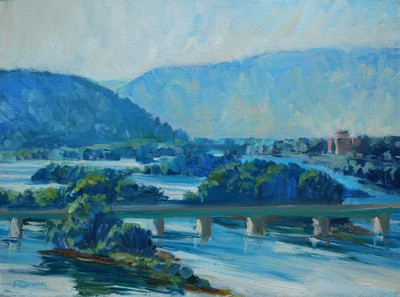 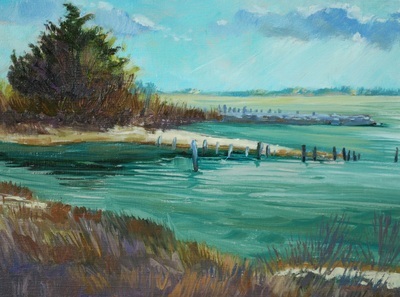 "Ware River Morn" ( 12 x 24 oil ) $720. "River Fishing" ( 12 x 24 oil ) $780. 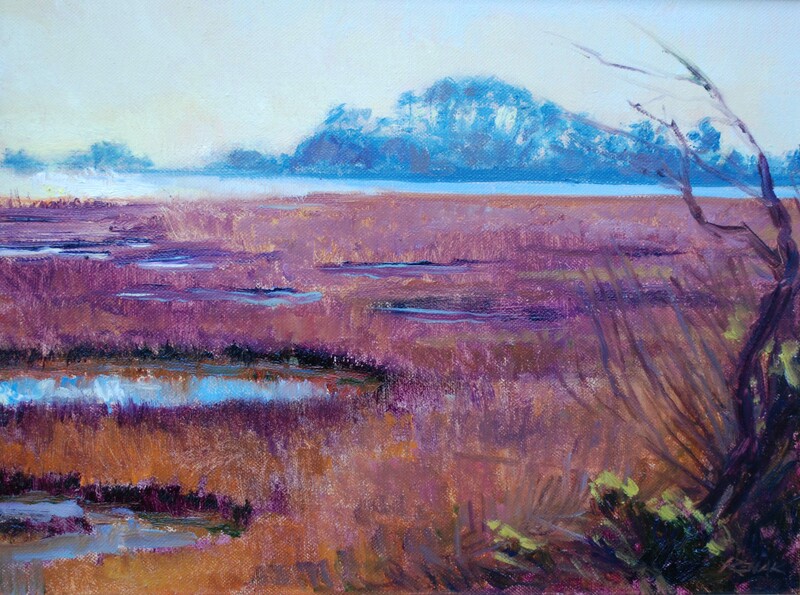 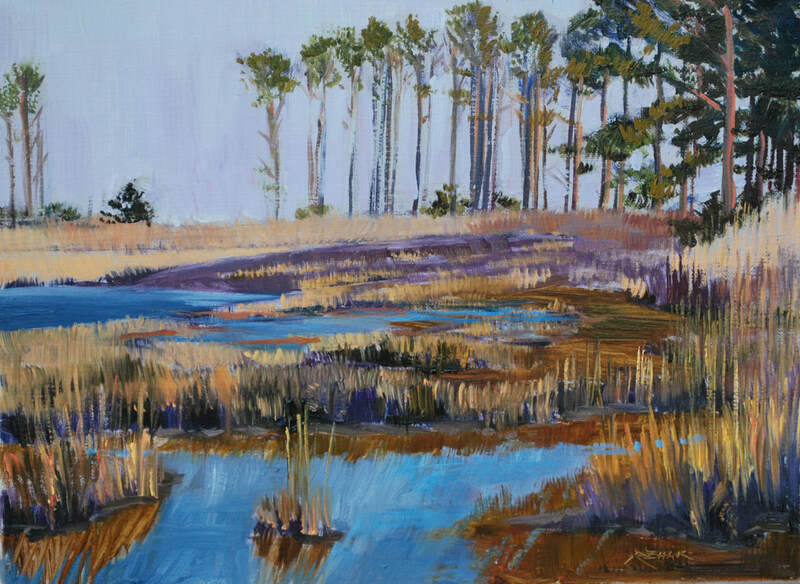 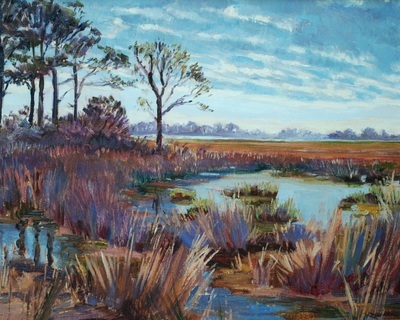 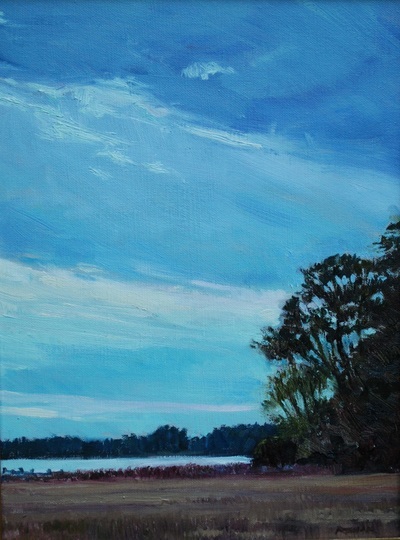 "Bayside Wetland" ( 12 x 16 oil) $480. 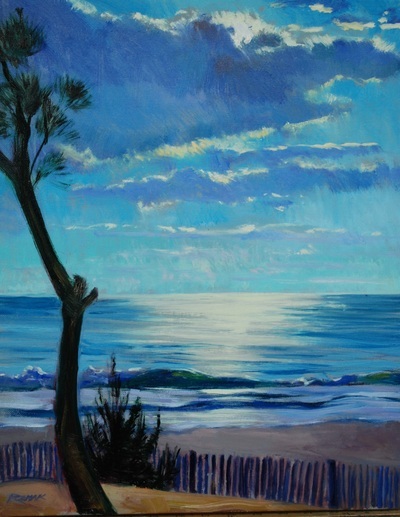 "Beach Grass Gold" (16 x 20 oil ) $780. 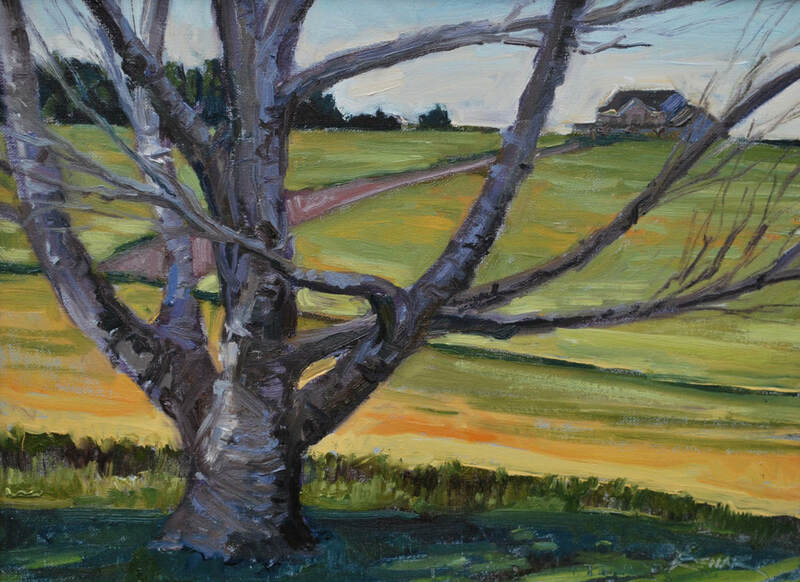 "Birch" (12 x 16 oil ) $540. 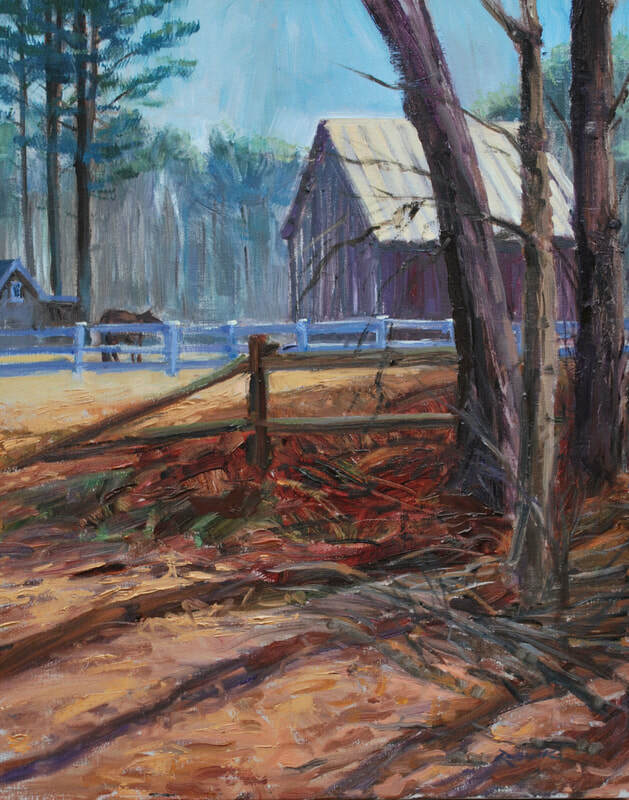 "Horse Farm" (20 x 16 oil) $840. 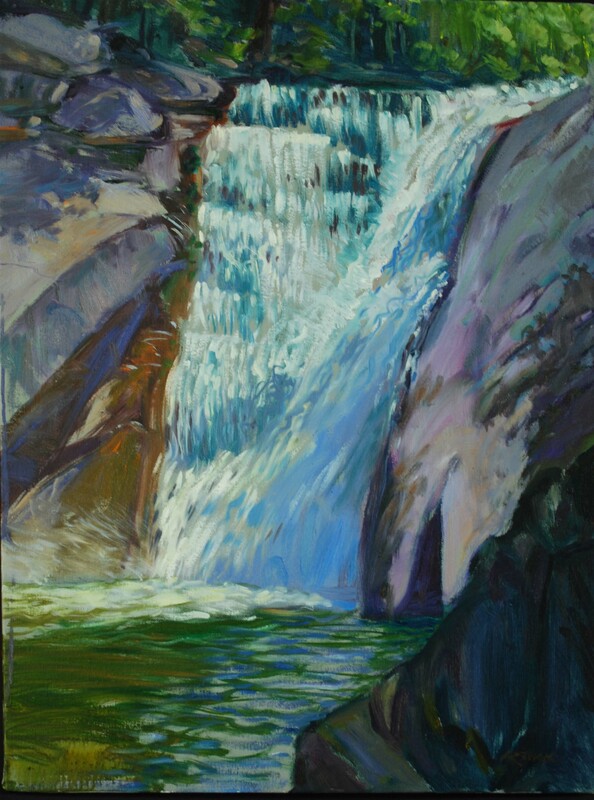 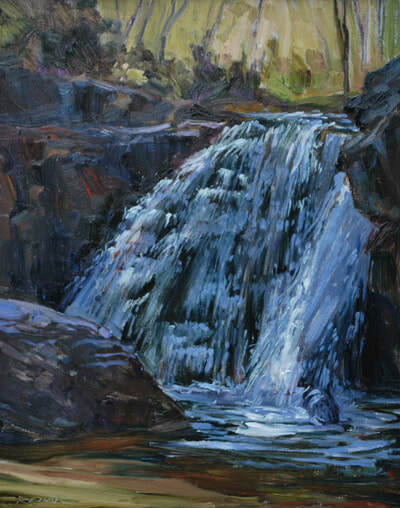 "Kilgore Falls" (20 x 16 oil ) $900. 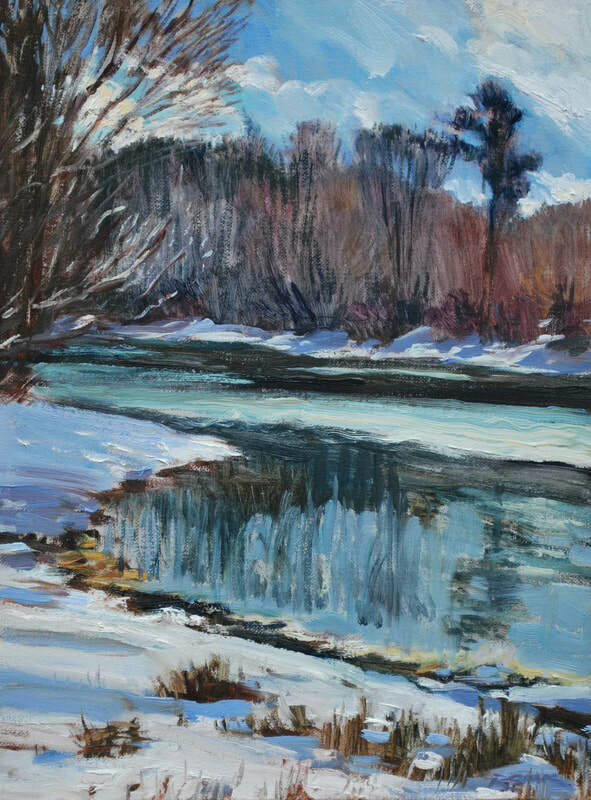 "River Bank Snow" (16 x 12 oil) $540. "Tred Avon South Branch"(16 x 12 oil) $540.
" 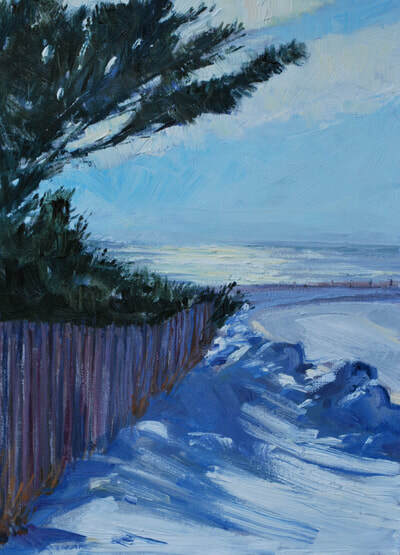 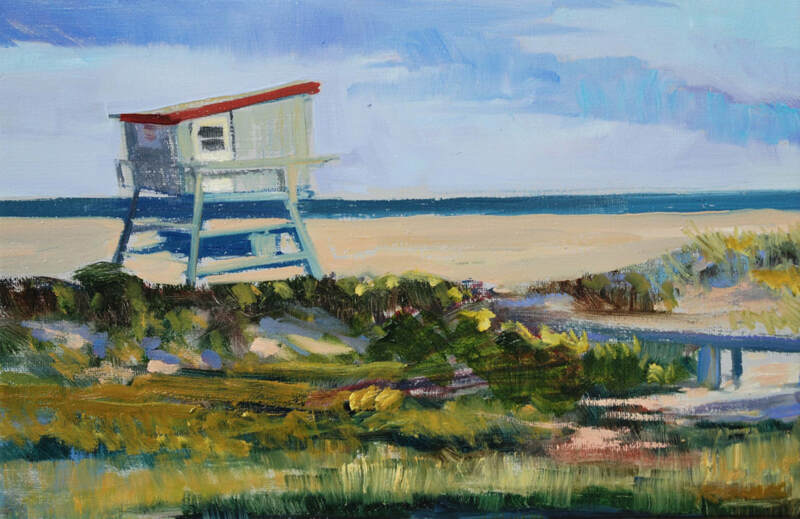 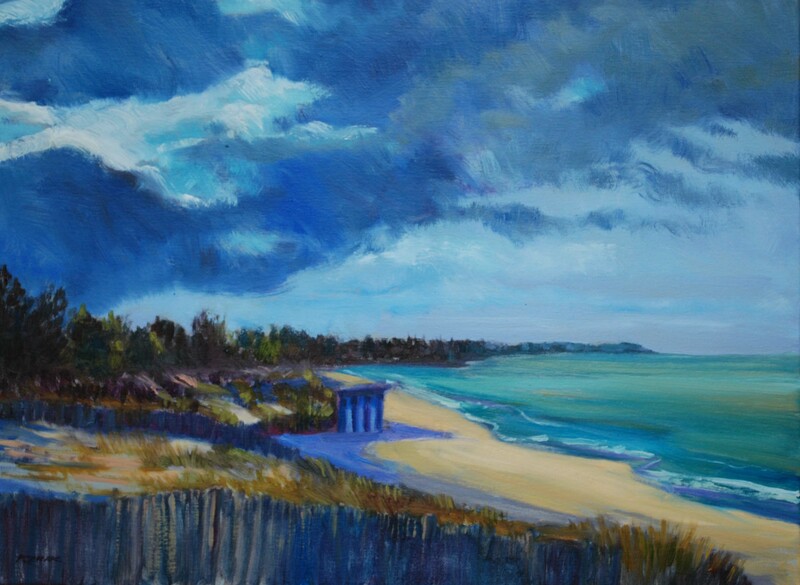 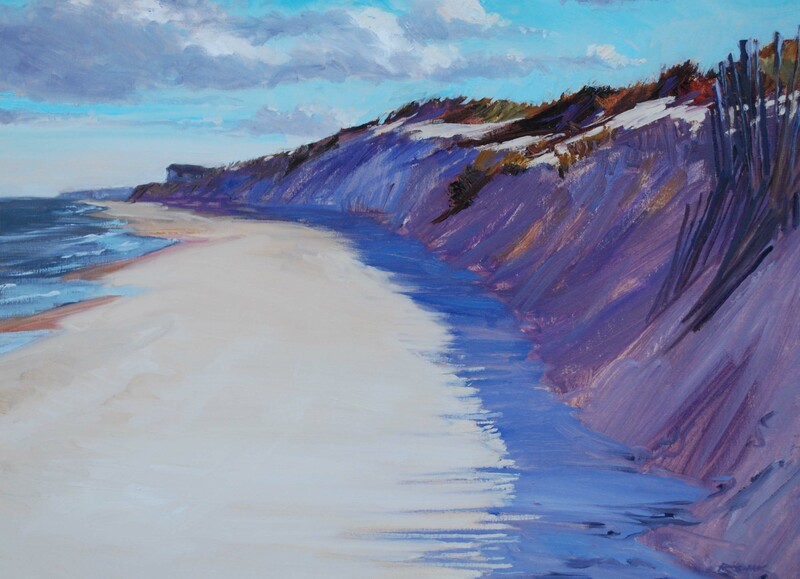 Surf Avenue Snow" (16 x 12 oil ) $480. 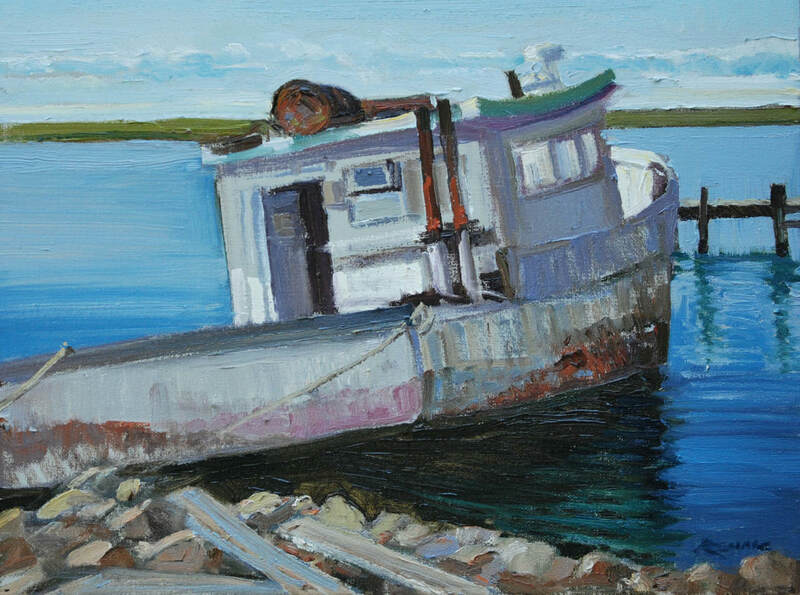 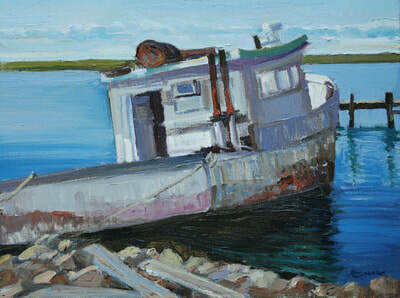 "Drydock" ( 16 x 12 oil ) $540. 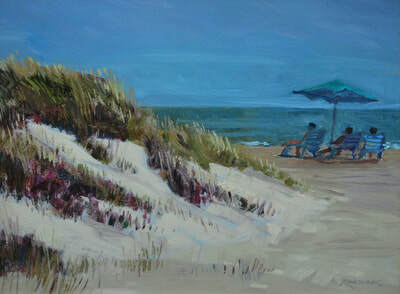 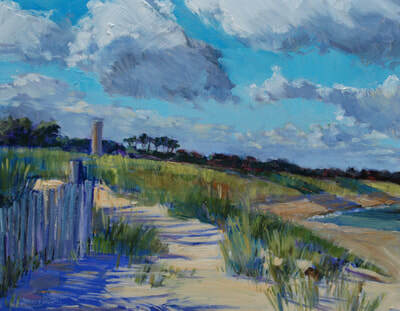 "By the Dune" (12 x 16 oil ) $480. 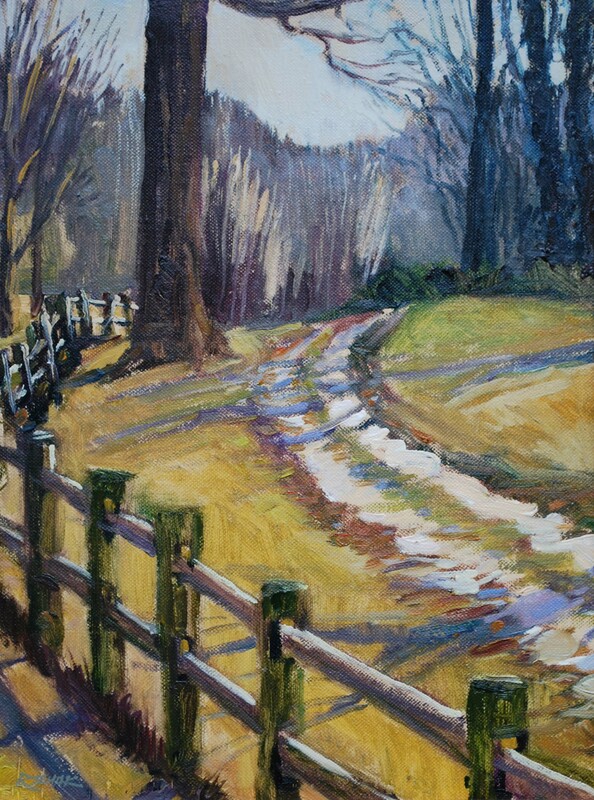 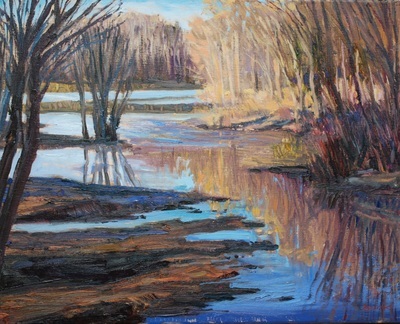 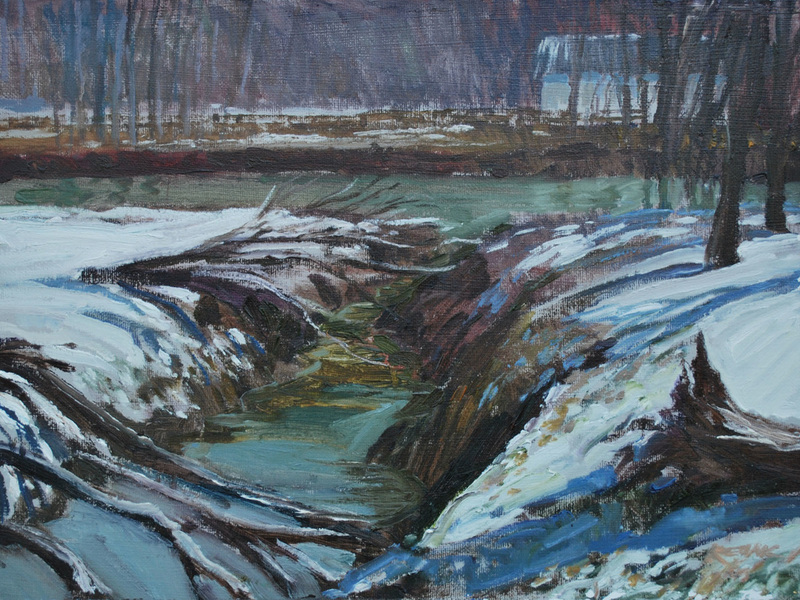 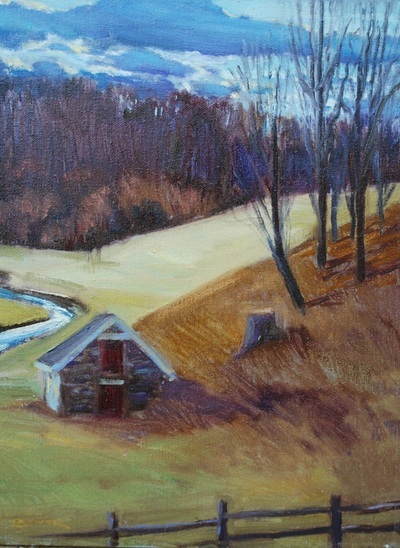 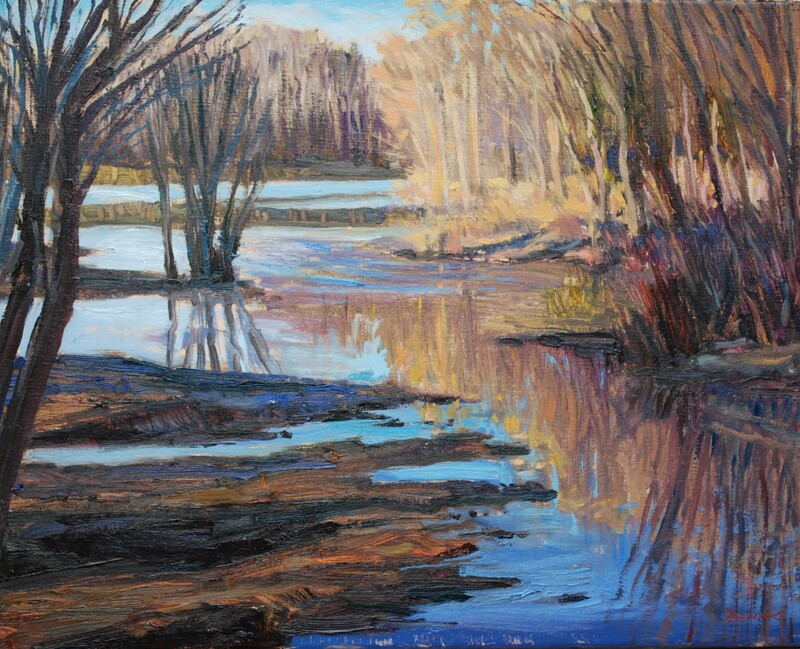 "Broadkill Tributary" (12 x 16 oil ) $540. 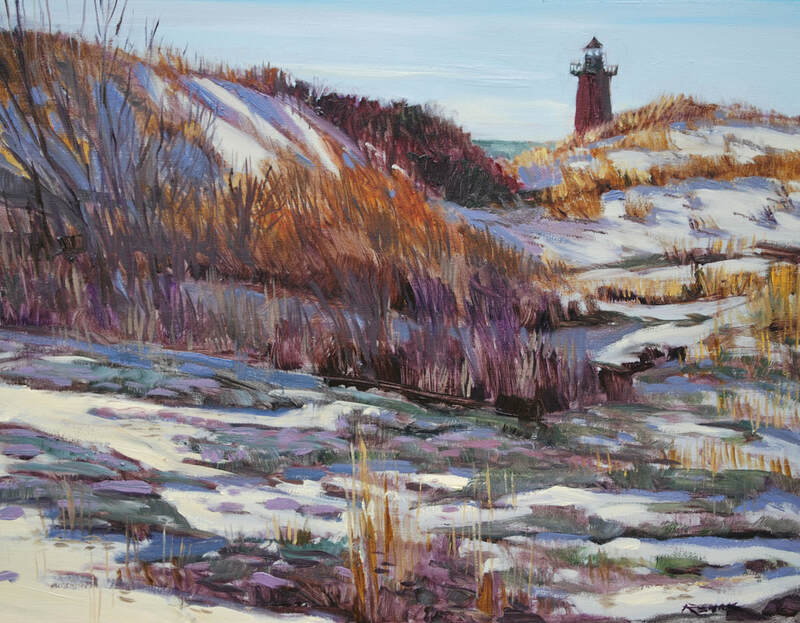 "Cape Lighthouse" ( 16 x 20 oil) $840. "Claiborne Field" (12 x 16 oil ) $540. "Cloud Shadows" ( 16 x 20 oil ) $840. 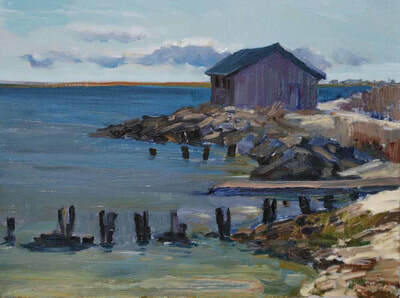 "Dock Remnants" ( 12 x 16 oil ) $540. 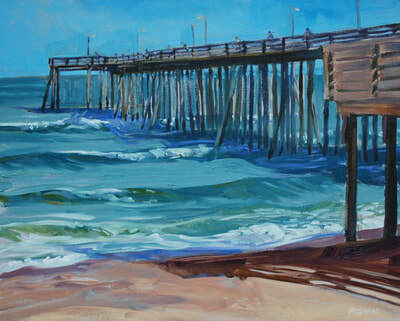 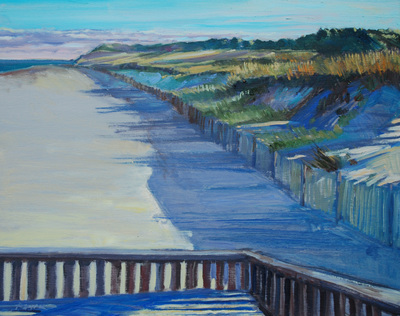 "Fishing Pier" ( 16 x 20 oil ) $840. 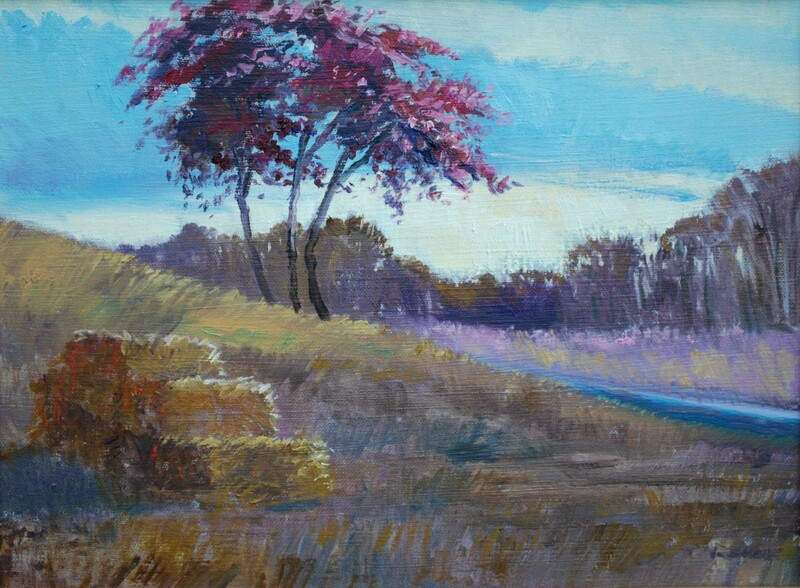 "Golden Glade" (12 x 16 oil ) $480. 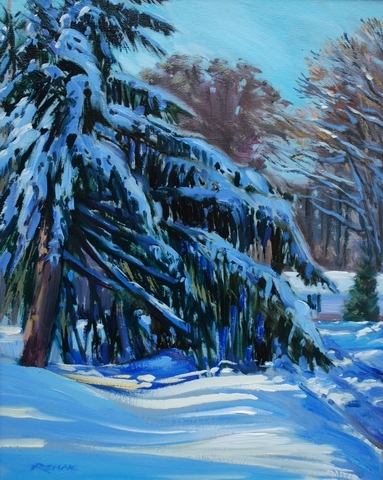 "Grounded" (12" x 16 oil ) $480. 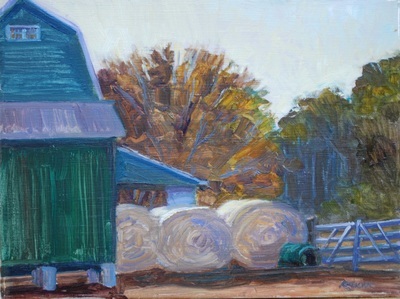 "Haskell's Farm" (16 x 20 oil ) $780. 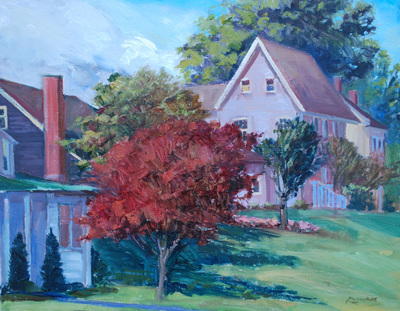 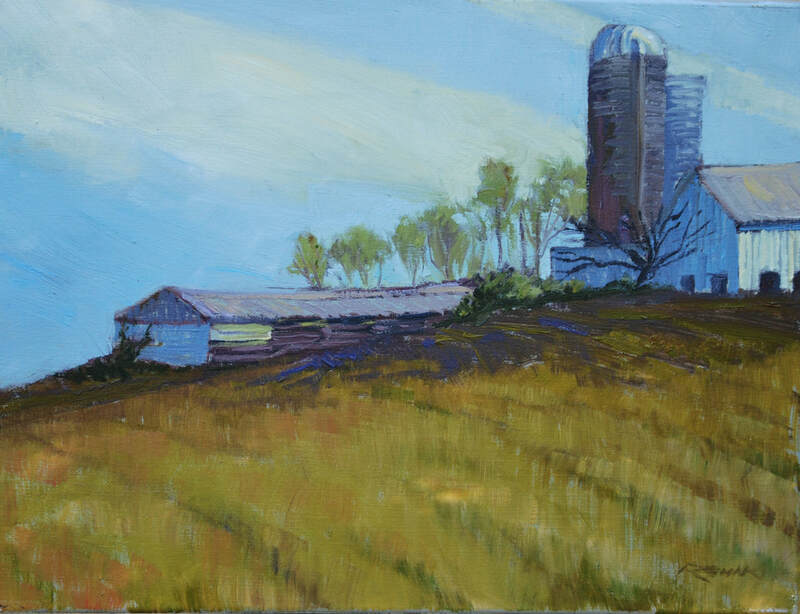 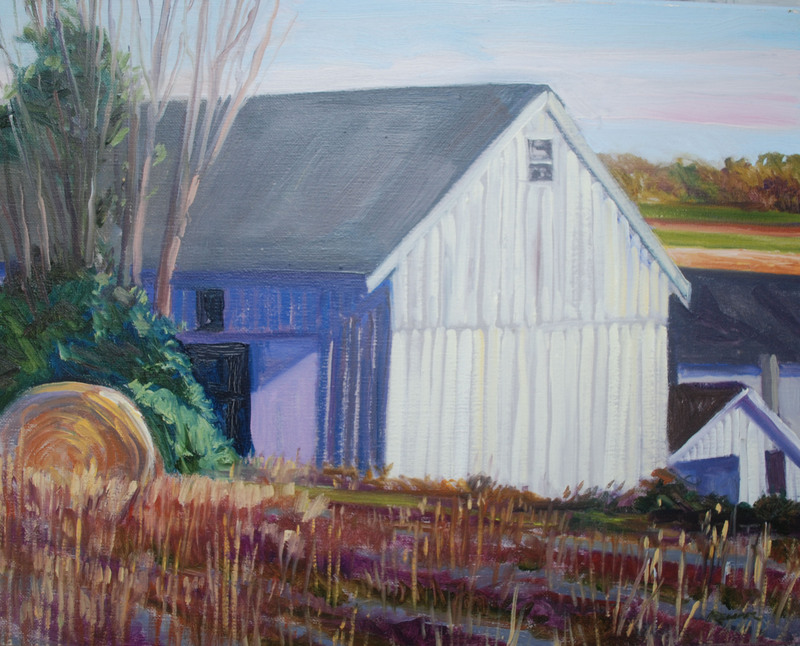 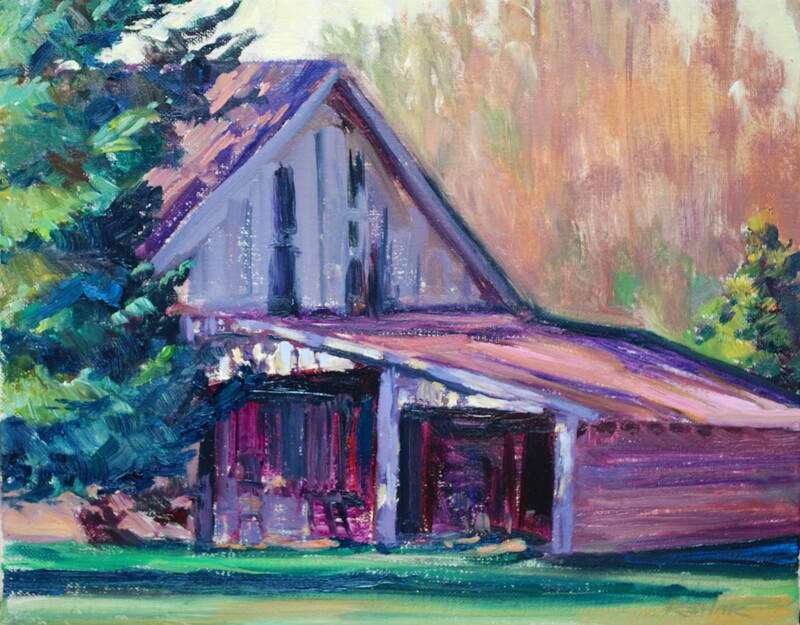 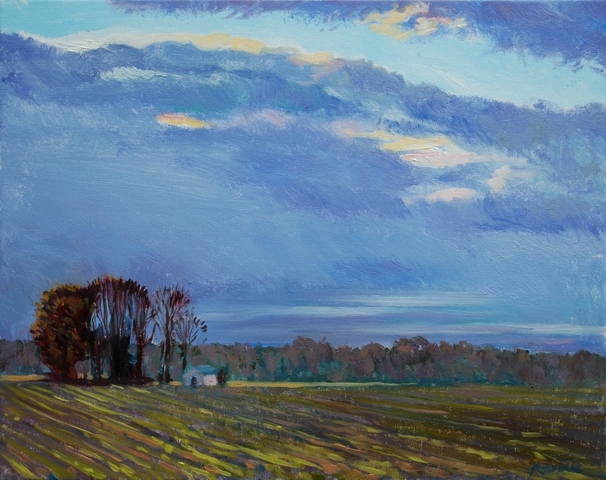 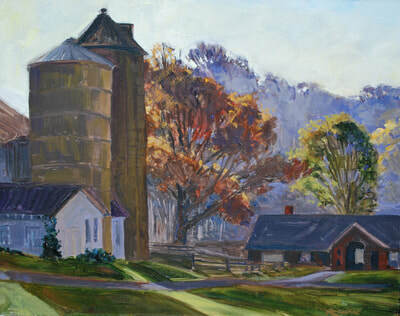 "Hilltop Farm" ( 12 x 16 ) $540. "Icy Pond" ( 16 x 20 oil ) $840. 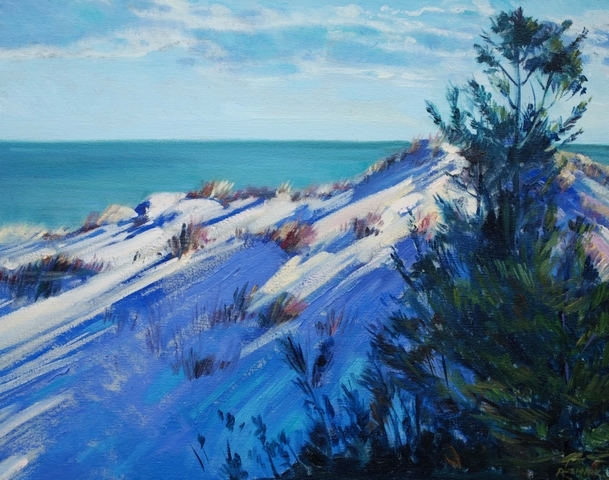 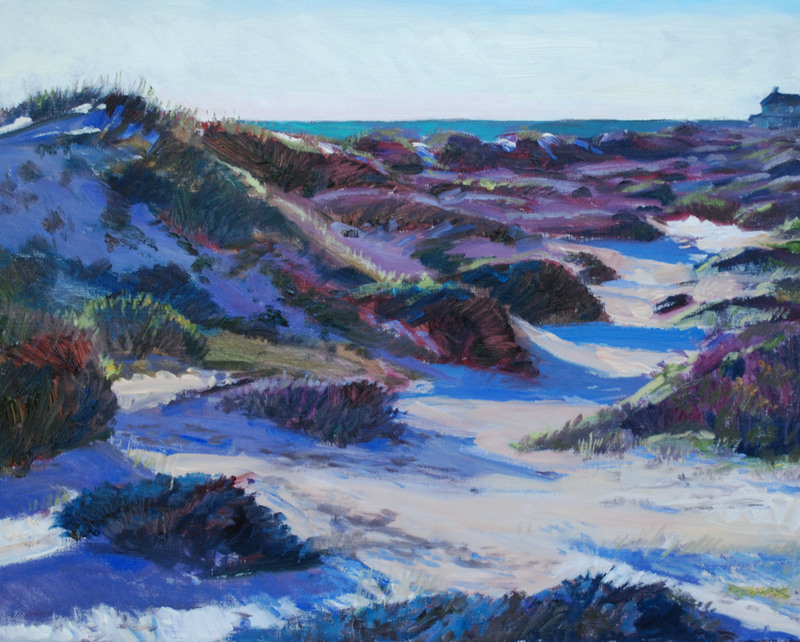 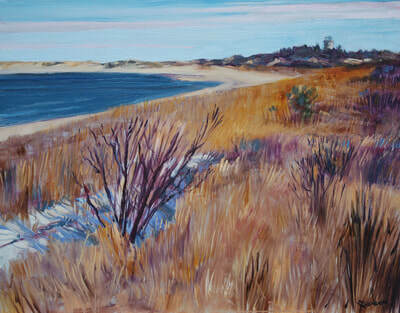 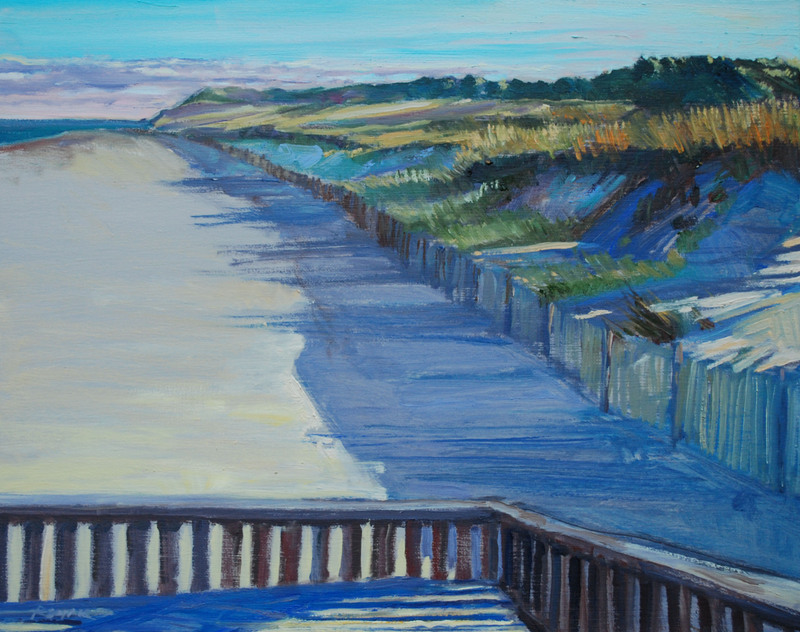 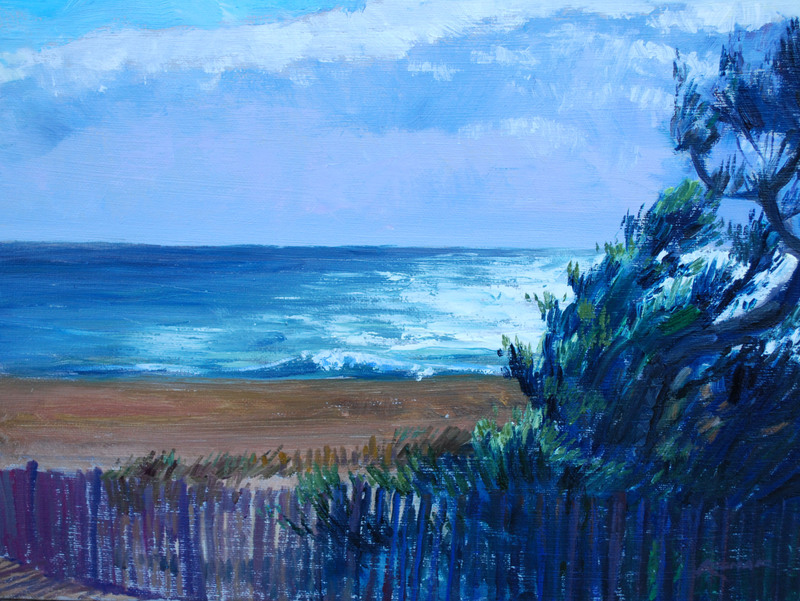 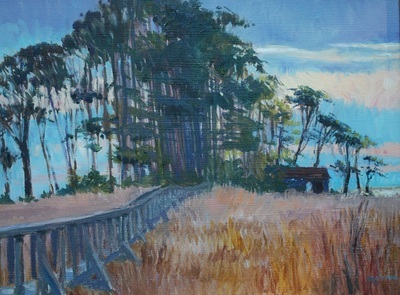 "Dune Trail" ( 12 x 24 oil ) $780. 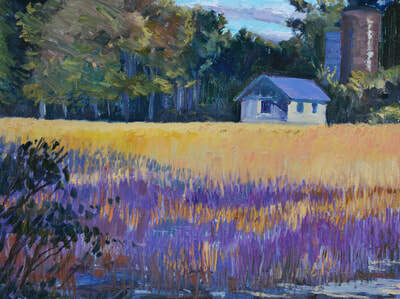 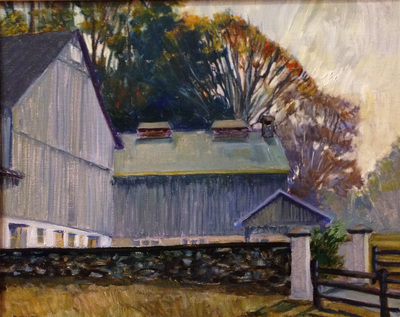 "Golden Farm" (12 x 24 oil ) $780. 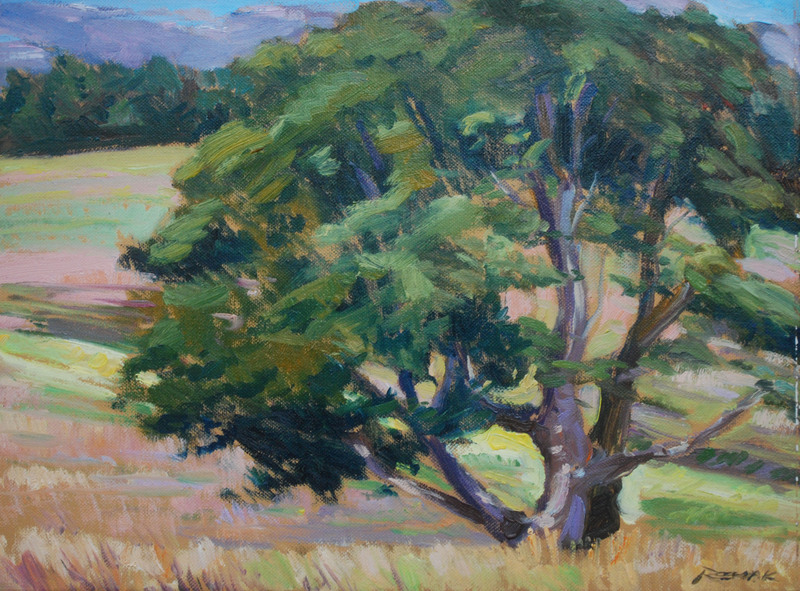 "Bowen-Baker Meadow" ( 12 x 24 oil) $$780. 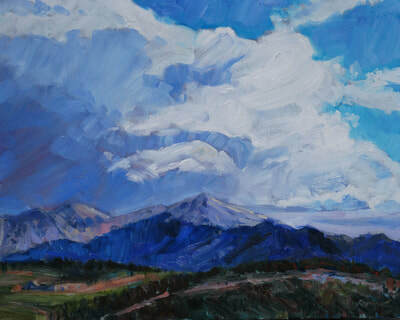 "Rocky Mountain Sky" ( 16 x 20 oil ) $840. 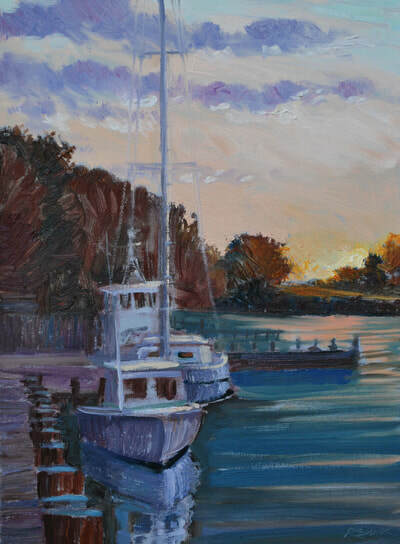 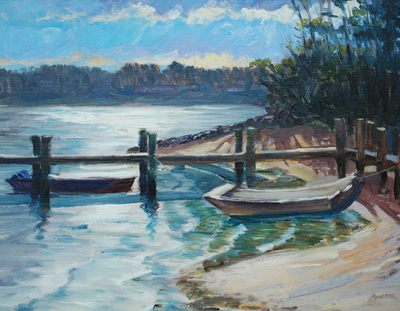 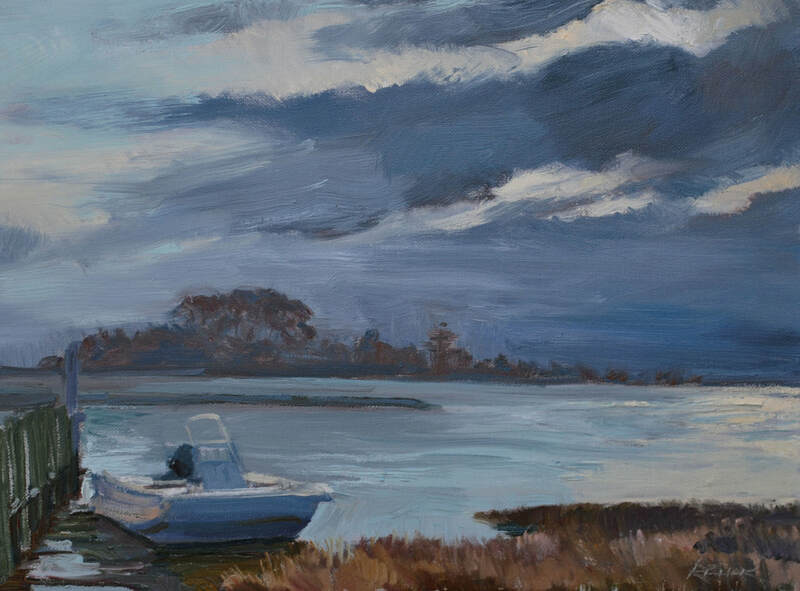 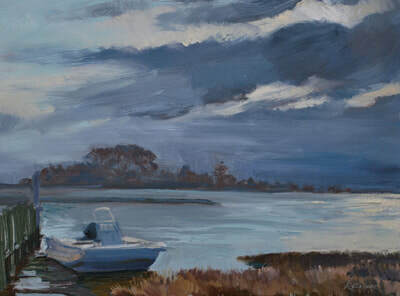 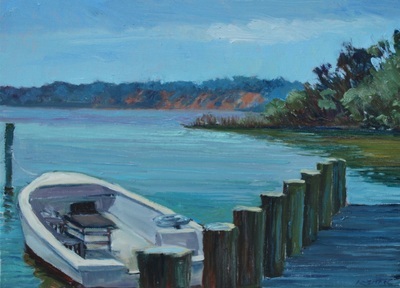 "Skiff on Scott's Landing" (12 x 16 oil) $540.